Lorena is a graduate of Florida State University with a degree in exercise science. 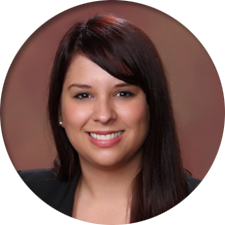 She joined the RCS team as a customer service representative for the Florida Restaurant & Lodging Association in 2011 before being promoted to RCS regional manager in the Miami Dade area in 2013 and to regional sales manager in 2015. Lorena holds three certifications from the National Restaurant Association and two from the American Hotel & Lodging Association. Most recently, she earned the distinguished Certified Hospitality Trainer designation from AHLA. In addition, Lorena has developed an affinity for high performance training/ professional development workshops and teaches in multiple Florida locations.